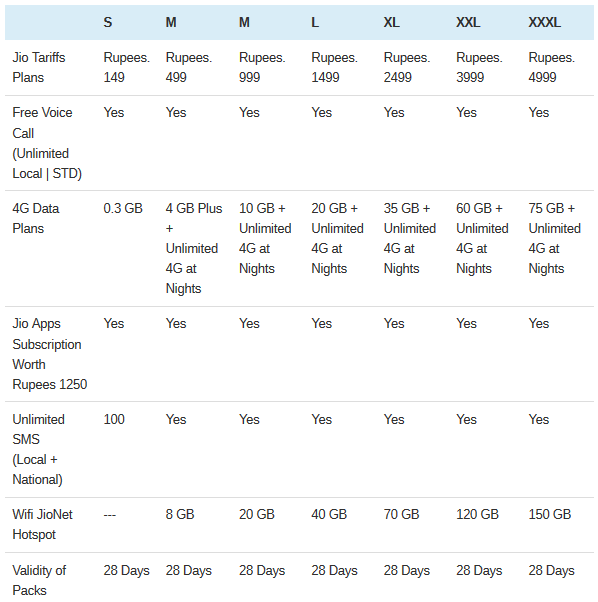 Reliance Industries chairman Mukesh Ambani has uannounced Reliance Jio is not only offering 4G services at much cheaper rates than the existing telecom companies, but also has announced its decision to make voice calling free. This means Reliance Jio users will not have to pay anything for voice calls on the company's network. Ambani also announced that the Jio services will be available absolutely free from September 5, as part of the company's 'Jio welcome offer'. As per this offer, everyone can try Jio's services for free till December 31. How you can get Jio SIM. The easiest way is to get a Lfy-branded smartphone. However, in case you don't want to spend on a new smartphone or don't want to replace your existing handset, just head to any Reliance Digital Xpress Store or a Reliance Digital Xpress mini Store. You will be required to fill up the Customer Application Form (CAF). A valid photo ID along with couple of passport-size photographs are required for the same (Aadhar card too is acceptable). Customers will receive the receipts on their email IDs. An SMS receipt too is sent to the applicant. The company verifies the applicant's details via phone call.